Our Ferdinand small corner sofa is a modern take on a mid-century icon. 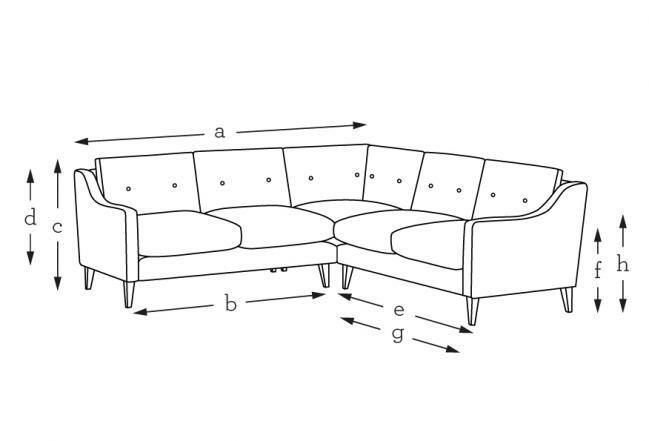 This corner sofa has a square shape which is softened by the deep button-backed seat cushions and slim, sloping arms. The tapered wooden legs have been given a geometric twist, bringing this retro beauty up to date. Sit in the feather-wrapped foam seat cushions and you’ll never want to leave. The compact Ferdinand corner sofa is made for sharing with family and friends.